'Lips' Glass Water Bottle: Allows you to give everyone a ‘kiss’ so they can feel as good as you drinking from this awesome glass water bottle where all your beverages taste their absolute best! 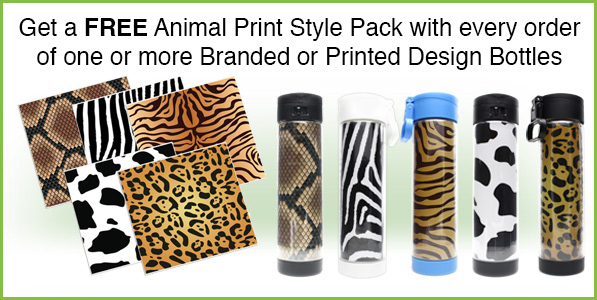 Add a name or some type of imagery to the back panel to make a truly unique personalized water bottle gift for an important person in your life. Leak Proof Flip Cap Lid with Handle and Lock - All lids are interchangeable. No more spills! BPA-Free, Lead Free, Cadmium Free, Toxin-Free – since everything tastes better in glass why worry about nasty toxins in plastic or metals…use a glass water bottle.